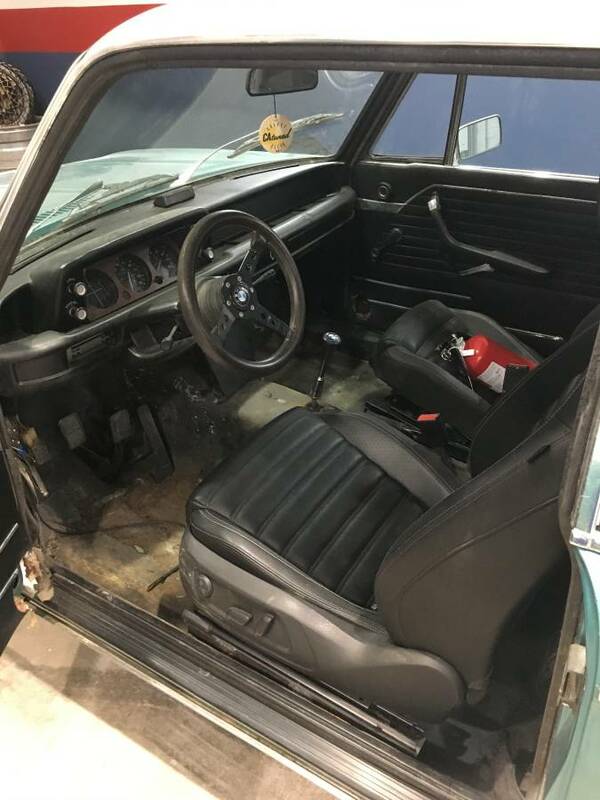 A few caveats with the next car featured -- first it has "some rust" and second it is located in Jersey...but how bad can it really be, because the asking price is insanely low. 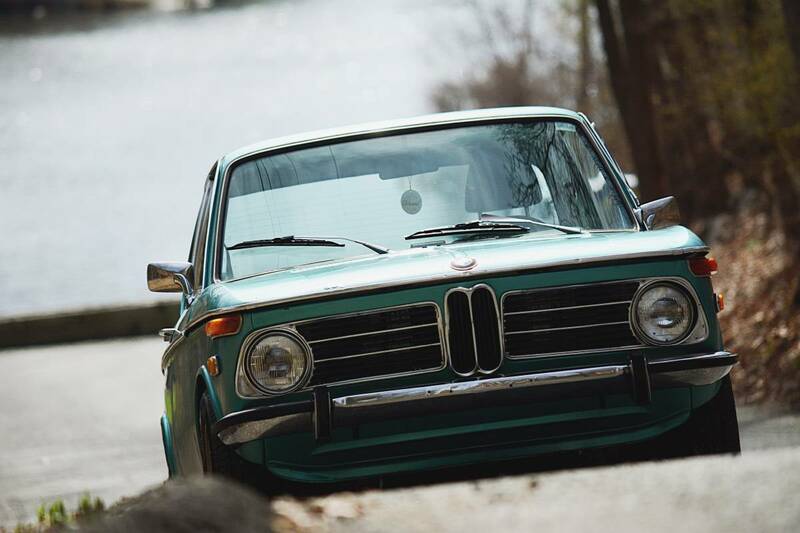 Find this 1973 BMW 2002Tii offered for $7000 in North Jersey, NJ via craigslist. Tip from FuelTruck. 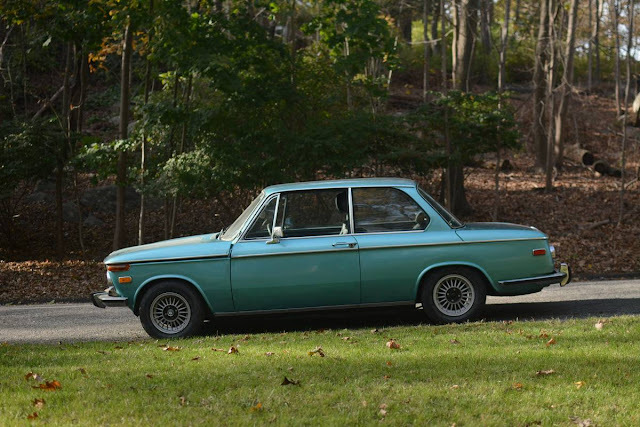 This 1973 BMW 2002tii is a factory Turkis example originally sold new in Europe. 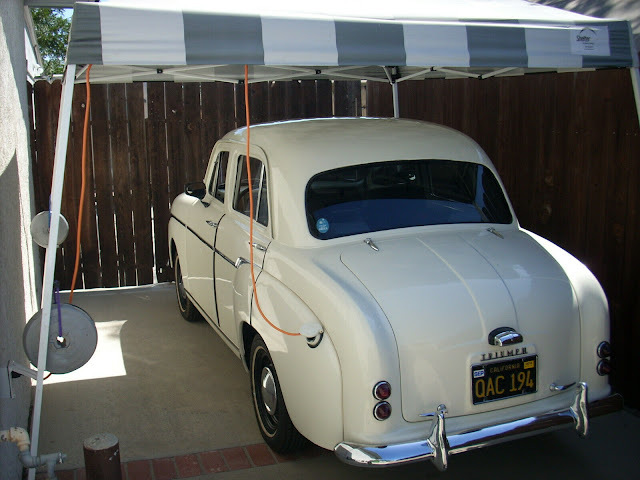 In 1973 cars on the tii registry, chassis #2764023 was delivered to the US in the late 1970s. Subsequent ownership included a autocross driver from Massachusetts who rigged a turbo onto an e12 motor and placed it in the tii. This is a driver tii with some rust detailed below, and it is sold with a clean New Jersey title. 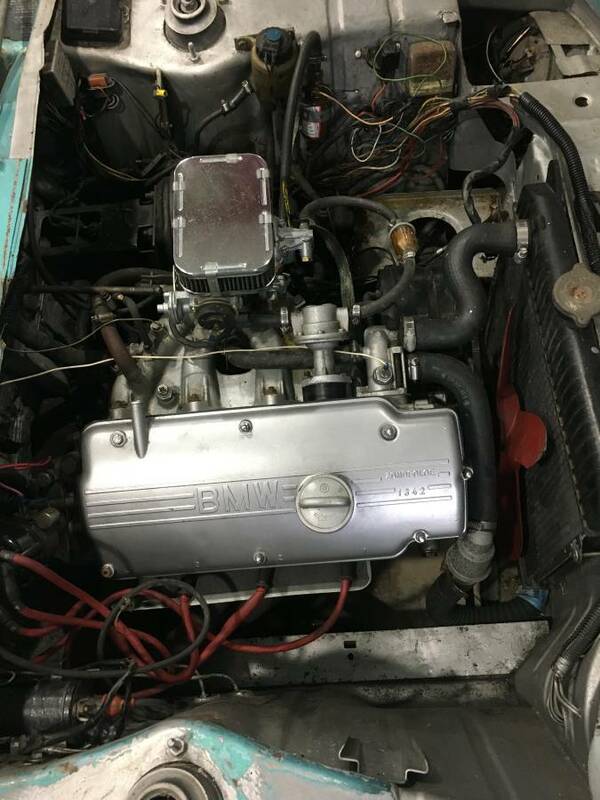 It's a factory-remanufactured engine (an "A" following a 4-digit serial number), manufactured January ("01") of 1979 ("9") or 1989 ("9") or some subsequent year ending in 9! The "21" indicates an engine for a 1974-75 2002. It is not a tii engine (i.e., it has not been factory-drilled for a Kugelfischer's oil return line). I like roundies, but hard pass. as my son found out with a not-so-perfect Supra: NEVER buy an east coast car, especially a car from a state that uses salt on the roads. That rear shock tower rust ( I know its not near the tower in the picture) is indicative of all sorts of other possible problems. Wrong engine etc...youre basically buying a shell that was once a factory Tii.....what is that worth? Poor little Tii never stood a chance. Probably was sneezed on by the 3.0ci and never recuperated.
" located in Jersey...but how bad can it really be "
I think the only reason you don't see more rusted out cars in Jersey is they don't last long enough to rust. A jersey driver ventures out of state where left turns are legal and WHAM. In all fairness, it's kind of tricky driving in New Jersey if you are used to the rules of the road elsewhere. 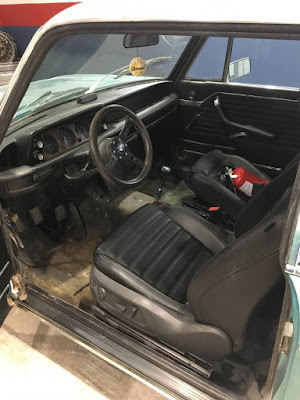 This car has been for sale on and of for at least a year or so, its reaaally rusty.